ONCHAN, Isle of Man – June 29, 2018 – Four new millionaires are celebrating football-fuelled victories at PokerStars, PokerStars Casino, and Full Tilt this week having each secured million-dollar pay outs totalling more than $5.4 million. ‘[AG]_Rocky’ became the first player to win $1 million on a $5 buy-in Spin & Goal at PokerStars. Inspired by this summer’s football, Spin & Goal tournaments are special edition Spin & Go games that not only give players the chance to win up to $1 million, but also free BetStars bets and dream football holiday packages. The fast-paced game of poker is perfectly sized for half-time or on a break from a multi-table tournament (MTT). ‘Joseph1457’ picked up an enormous $100,000 for finishing in second place. PokerStars Ambassador Ben Spragg caught the battle for the seven-figure prize and the moment ‘[AG]_Rocky’ scored big live on Twitch. The player had been playing in two MTTs and decided to wrap up his session with a quick go on Spin & Goal, resulting in a million-dollar pay day. Head to the PokerStars Blog for more information about the win. 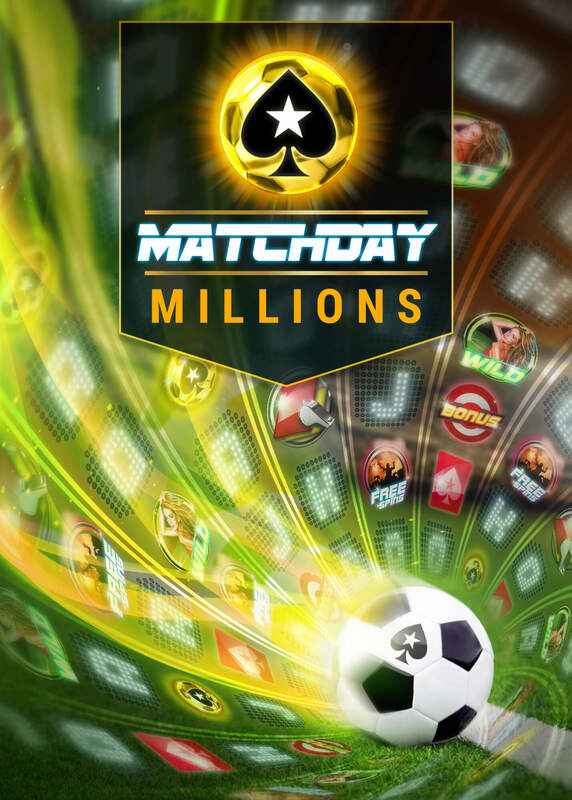 Matchday Millions, a football themed, in-house developed proprietary slot game with a $1 million minimum guaranteed jackpot, hit for the very first time last week. ‘BRAER_71RUS’ won $1,425,373.02 at Full Tilt, making this the first million-dollar casino jackpot to hit at the site. The slot shares a prize pool with Stars Mega Spin and Millionaires Island, which both had million-dollar jackpots go off during the same week at PokerStars Casino. Player ‘lohengramm’ got an “unexpected surprise” worth $1,679,871.30 when Stars Mega Spin hit the jackpot. ‘BETHGE68’ from Germany became the fourth millionaire made in 10 days with a windfall of $1,357,835.04 from PokerStars Casino’s Millionaires Island. Check out Spin & Goal and Matchday Millions for more information on half-time entertainment across PokerStars, PokerStars Casino, and Full Tilt. In addition, a variety of World Cup promotions are running at BetStars including best price on World Cup accas of three teams or more and World Cup odds boosts offering enhanced prices. Keep up to date with the latest news of football fixtures at BetStars News.